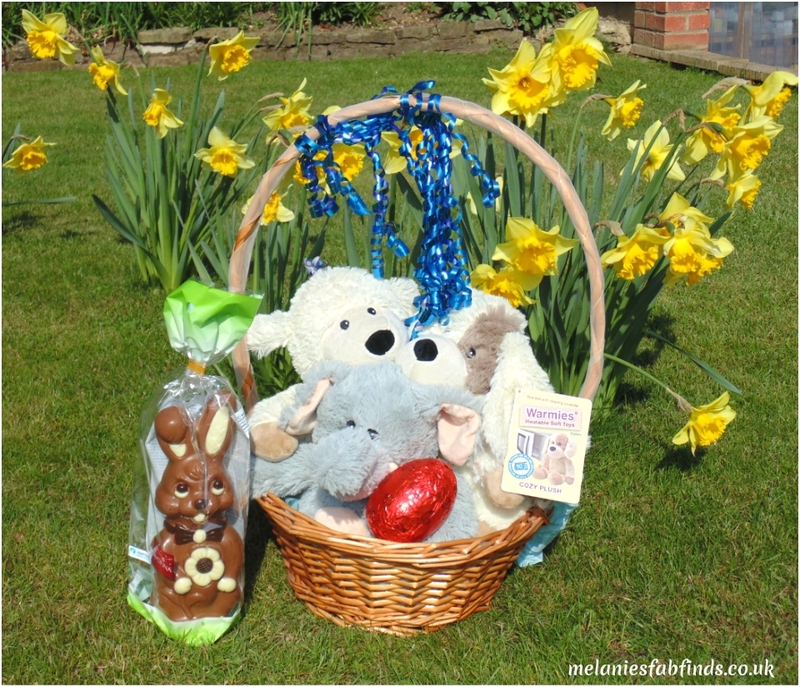 Teddies make a wonderful gift for children whether you are buying for them for a birthday, Christmas or an alternative to sweets and chocolate for Easter. We all love teddies whether we are young or old but eventually we grow out of them or at least we claim too and cuddle our teddies at night when no one can see. It’s interesting that scientist have actually researched the therapeutic effects of soft toys. We all know that they are great for children but they are also good for adults too. They act as a comforter for both young and old and make a wonderful confidant for children as they will never tell anyone their owners secrets. Adults can feel free to confide in them too although I must admit I’d feel a bit daft talking to a teddy myself but apparently it can actually help. Teddies are great to hug and interestingly this can reduce stress. Hugging reduces stress hormones and can also alleviating conditions such as anxiety, depression and insomnia. Soft toys are also great for older children and adults by serving as a reminder of childhood and also of the person who bought it. The appearance, colour of the teddy is irrelevant in terms of their healing benefits it’s all about the attachment formed by the individual to the toy. Warmies a recent discovery of mine have added an additional benefit to their teddies – heat! This makes them that bit more cuddly and welcoming. They also help children / adults feel better when they have tummy aches, cramps caused by wind, menstrual cramps (stating the obvious – in adult females), muscular pains and more. The application of the warm toy to the area increases the blood flow to that area which can reduce any swelling, relax muscles, reduce / relieve pain, discomfort, stiffness and much more. Of course in cases where there is a condition aggravated by heat you are best to just use the teddy as a toy. Warmies have a fabulously large range of these heatable teddies. Their regular sized toys are just £14.95 which is reasonable for a cute, cuddly toy that can be microwaved. They are super simple to use you literally pop the whole teddy into the microwave and heat for the time specified on the label attached to the toy, a well thought out toy clearly as the instructions are on the toys and there is no opening of the toys and parts to remove for heating which is a bonus. Naturally when we got ours that evening they mysteriously developed tummy aches and needed their teddy heated to cuddle in bed. The teddies themselves are exceptionally soft, cute and very cuddly. They are easy to use and clean – cleaning involves a quick wipe with a wet wipe or damp sponge. They smell of French lavender and many of you will be aware that this is a relaxant, has calming properties and can even help gently induce and result in a deeper sleep. These toys are long lasting so can see your children / you through many years as they can be reheated thousands of times. There are so many different teddies to choose from on the Warmies website you are simply spoilt for choice. They have something for everyone. I picked out a few that I thought you guys might like too. These ones are all regular sized but they also have medium which are smaller and will be introducing minis soon too. 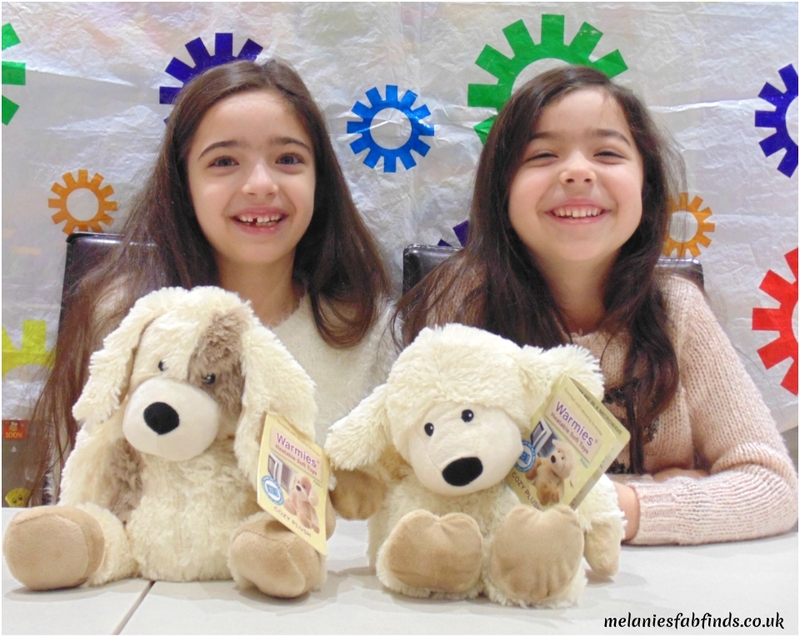 There are other heatable soft toys too so make sure you take a look at their website to see the full selection. Those young at heart or simply young will probably want to get their hands on one of these too so I have teamed up with The Intelex group the company that brought us Warmies and we will be holding a competition for one reader to win a regular soft plush teddy, winners choice (provided there is stock otherwise you might be asked to chose another option). Help Eradicate Maternal and Newborn Tetanus Just by Reading this Post! Aquadoodle from Tomy, Fun without the Mess! They are great I do love the range. 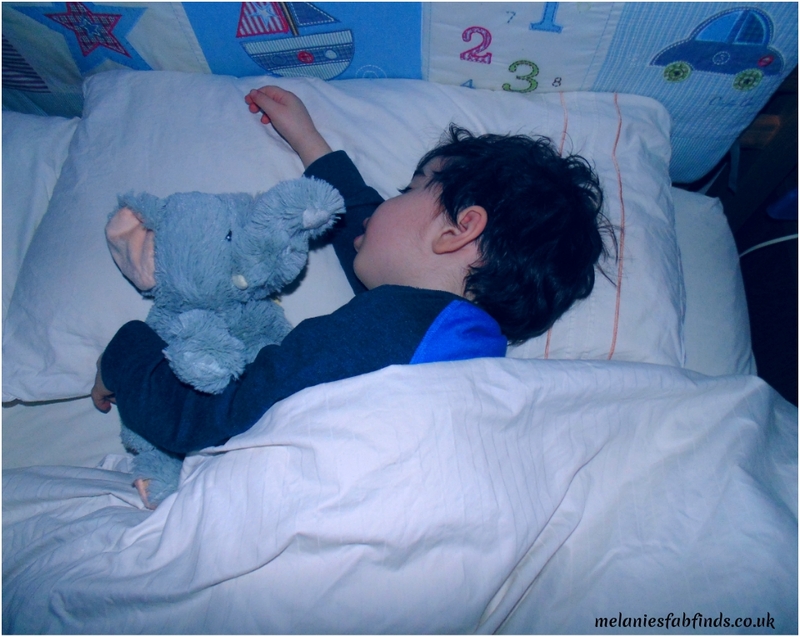 Teddies can be wonderful teaching tools for children. They are lovely to cuddle in bed. At the moment I have mini man for cuddles but when he sets older I’m going to need a teddy!!!! So cute I love these Warmies I have an elephant one for Blake. I bet he loves it they are lovely teddies. Same here so we try to keep an eye on them all the time to make sure we don’t lose any. Who knew there were so many benefits of teddies, and not only for children but for adults as well. The Warmies range look so cute! I thought that it would be of interest as it’s not really something we think about. These really are a great idea. These are super cute. I’ve still got some of my own teddies now…hehe! I did until my children came along. I might need to steal them back or grab one of theirs for night time cuddles. Ahhhh good luck these really e lovely teddies. I love that they can be warmed and that there is such a large choice. They really are very comforting and feel great on a sore tummy when heated. They would love them and they are reasonably priced which helps. These stuffed animals looks so soft and cuddly! I would have loved these as a child. They are adorable and super cuddly. Awww! These are so cute. What a sweet concept. I feel like these would really help kids to not be afraid of sleeping on their own! They sure can be used for that but are also beneficial to adults too! That’s great. my children took all of mine so I cuddle them and their teddies lol. I’m going to sound daft but I actually have something similar for when I’m ill myself haha! It’s a microwave pug that I picked up in Newlook. Perfect for back pain. I guarantee you’ll be borrowing this off your kids eventually. Lol I am sure I will if I can loosen their grip on it when they are sleeping. These are gorgeous. I NEED that giraffe! I used to and my girls took, typical! These teddies are super cute. I love the blue one a lot. Ah these are so lovely! What a brill competition!!! It is a cute one although they all look great. These are really cute! I have such a huge collection of teddies. I am an adult and I love teddies lol…who doesn’t like them they are so soft and cute and seriously relaxing. My 8 month old nephew can’t sleep without his elephant teddy 🙂 lol… These sounds super amazing and they look cute too!! I love these teddies they’re so cute!. Great prize. I would love to win one for my great niece in Africa. She is type 1 diabetic and there are times when she doesn’t feel well, so one of these would definitely cheer her up. The ideas list is growing for Christmas! This reminds me so much of my son. Growing up he took his bear everywhere he went. It was the sweetest thing. To this day he still has it .. although it’s quite the worse for wear. What wonderful memories .. you made me smile! Glad you liked the post. Teddies are great and it’s lovely to see how much enjoyment children get from them. Lol, well the good thing is that each time you look at it you will remember your holiday. We’ve got the warmies sheep called Barbara! Helped our little one to sleep at night thNk god.